Kate has worked with the company since April 2014. She has worked in estate agency for the past 11 years. The majority of her experience was whilst working for a large independent agent based in Surrey. She was the Operations manager for 21 branches located in and around Surrey and London. 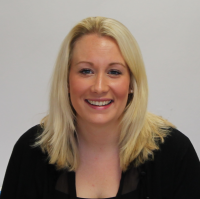 Obviously Kate is brought to the company a vast knowledge in Lettings and Property Management. As she is ALRA qualified she is adept in policies and procedures. Kate has 2 children and enjoys spending her free time with family and friends. She loves running and going to the theatre.